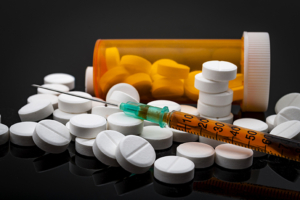 Opioids are a class of analgesic drugs that are generally prescribed to patients that have suffered catastrophic injuries. Opioids suppress the central nervous system and reduce feelings of pain. Opioids are highly addictive, and patients can overdose on the medication that can lead to death. The risks of taking any of the above opioids are addiction, respiratory depression, heart complications and/or overdose and death. In 2008 I was prescribed Hydrocodone after my wisdom teeth were extracted. I did not want to take the medication as I had heard it was highly addictive. I was in horrible pain and had to take Hydrocodone for a week. I will tell you the drug made me feel extremely happy and every pain in my body was gone. I nicknamed the medication my happy pill. When the drug wore off I was back to my normal self with regular emotions and the body aches and pains that come with aging. In 2017 my husband had serious medical crisis and he had to be hospitalized for a week in the ICU. The team of doctors could not figure out was wrong with him and they had given him painkillers and morphine. The good news is that he lived, and he did not get addicted to any of the prescribed medication. I asked him what he felt like when they injected him with morphine and he said he had absolutely no pain at all and the drug made him blissfully happy. For those families who have lost loved ones to deadly side effects of opioids there are avenues of relief which are holding the negligent drug manufacturers accountable and seeking compensation for medical bills, lost earnings, and pain and suffering. If you or a loved one suffered or have been hurt from any kind of prescription opioid drug, please call the experts at Inserra Kelley Sewell to see whether you might be entitled to compensation.